Your goal is to focus on your core business. Our goal is to help you by offering comprehensive workforce solutions. eLan Technologies provides a full spectrum of tactical and strategic workforce services Providing you with the right talent at the right time is how it begins. From the factory to the tech site to the trade show to the law firm, we'll deliver the skilled professionals you need. We've earned the reputation for enabling our clients to meet critical deadlines by providing the time critical support they need. eLan is a full service IT Services and Business Services Firm. eLan's Staff Augmentation, Project Solutions, Vendor Management, Executive Search services, call center technology and IT and business development services allow us to deliver ideas and solutions that meet all of our customers' IT and Business resource needs. eLan's international footprint allows us to tap into multiple labor pools and deliver the best to our Fortune 500 customer base. Having the ability to bring in proven IT consultants that can hit the ground running while meeting your project budgets is key to a successful project. Technical Staffing Solutions project staff augmentation model provides our clients with the ability to meet their project milestones while keeping costs under control. In todays market, the ability to bring in IT consultants to supplement your team on an as needed basis is crucial to continued success. 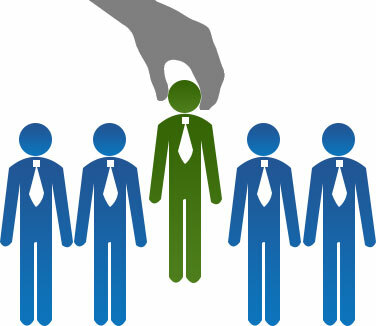 Our professional placement services are designed for organizations looking to fill middle to upper management positions. Our targeted searches offer a confidential way to target latent job seekers with specific skills and experience. We source, screen, and interview potential candidates based on your requirements, then provide you with a list of the top-tier candidates. You have the ability to conduct final interviews and make the final hiring decision. To ensure your satisfaction, our Professional Placement services are also backed by a guarantee ranging from 60 to 180 days, depending on the position. For more details, contact Innovative Staff Solutions at 1-855-451-ELAN(3526), by email at info@elantecs.com, or online at www.elantecs.com. © 2014 eLan Technologies, All rights reserved.